Inside: My super-secret blog post routine that I follow every time I write a blog post. This step-by-step guide will show you how to create, publish, and publicize blog posts that will get clicks and shares! 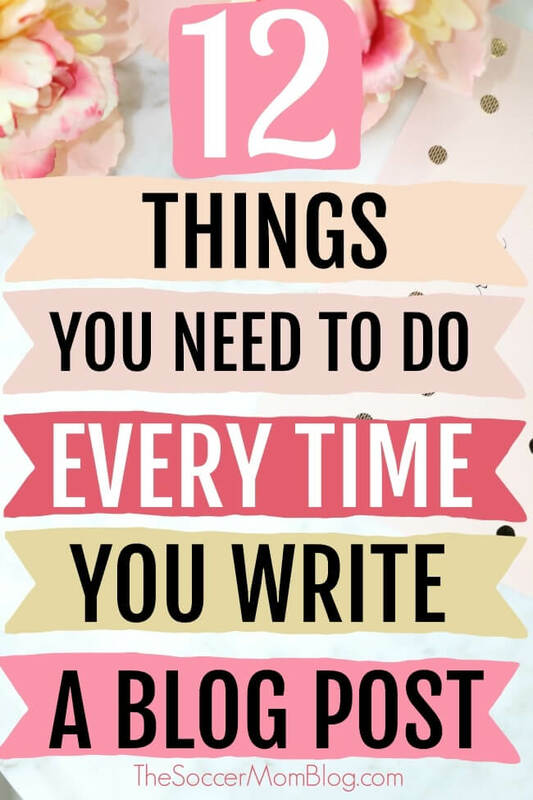 Do you have a routine when it comes to creating blog posts? A “new post routine” makes life sooo much easier and makes it less likely that you’ll forget to do something important (and have to go back and fix it later). Note: I’ve included affiliate links in this post for products/services that I use and love and that might be helpful for you too; read my disclosure policy here. Today I’m going to let you in on my super-secret blog post routine – which is a step-by-step process that I follow every time I write a new blog post. This is the kind of stuff that blog coaches charge LOTS of money to teach you. But you’re in luck because I’m giving it to ‘ya for free! You don’t have to go exactly in this order, but I recommend following this process as closely as possible. 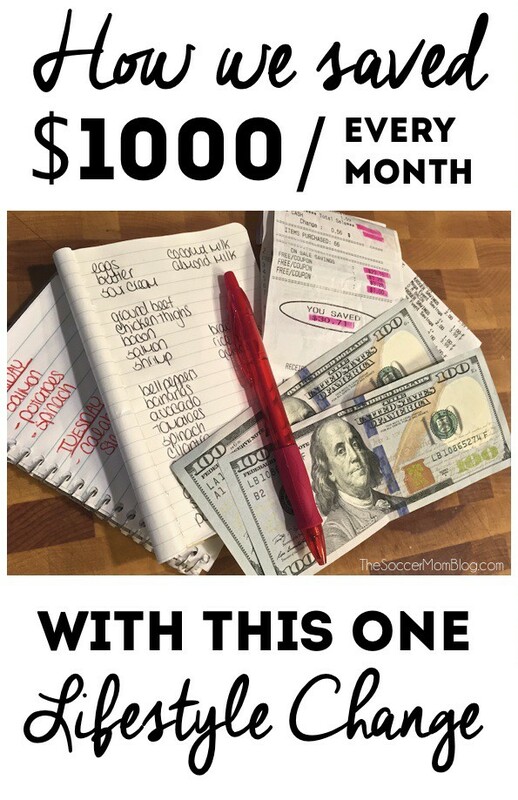 It’s worked for me and I hope it works for you too! Are you writing your blog on a free blogging platform? If the answer is NO – and you already have a self-hosted website – keep going and skip down a couple sentences to #1 on my blog post routine. If the answer is YES – and you are on a free blogging site (or don’t have a blog at all yet) – READ THIS FIRST! This post talks about the 5 mistakes I made as a new blogger (one of them was starting on a free blogging site). 5 Things I Wish I’d Known Before Starting a Blog <– Seriously, read it! You don’t want to repeat the same mistakes I did! The first thing I do when writing a new post is to decide what I’m writing about — that’s likely your starting point too! So you know what you want to write about — but why? Before you write a single sentence, you need to figure out what you hope your audience will gain from reading your post. After all, your number one focus as a blogger should be to enrich your readers’ lives. If you serve your readers, they will come back for more and share your content with others! Did you create a new recipe that you know others will enjoy? Did you figure out a solution to a common problem? Do you have an interesting story that will entertain or bring joy to your readers? There has to be a reason for your writing, and once you have a reason you’ll be able to write more engaging and useful content that gets shared without even trying! Now you need to set your post up to be found by your readers, and it’s easiest to do this before you start writing your post. Think about your potential new post from the perspective of a reader: if you were going to type a search phrase into Google to find your post, what would it be? These search terms are called “keywords” — they can be broad (1-2 words) or specific (3-5 word phrases). You can incorporate multiple keywords into your post, but you’ll want to have one main focus. Avoid “keyword stuffing,” or sticking your main keyword in your post a bazillion times. Google will see right through that tactic and it will sound weird as a reader. Weave your keyword(s) into your post naturally, and you’ll be fine. When I have a topic I want to write about, I use a keyword research tool to identify which particular combination of words has the most search potential. Click here to try KWFinder free! Keyword research is a never-ending learning experience. It can take trial and error to find the right keywords that get your blog post noticed. Even if you’re not 100% sure what is the “best” keyword (hint: I’m never 100% sure either), you’ve got to have keywords! Do some research, go with your gut, and try new ones later if needed. After I’ve got my topic, purpose, and keywords figured out, I write the bulk of my post. I try to find a block of time that I can simply write, without interruption. While I write, I try not to worry too much about getting it perfect right away — I’ll proofread later and clean up everything. The focus at this point is to get my thoughts down on paper. The more ways you give people to sign up for your email list, the more subscribers you’ll get! Some people (like me) immediately click away from pop-up or drop-down subscription boxes, so you can’t rely on those alone. However, even though I usually ignore a pop-up box, if I loved a particular blog post I may voluntarily sign up for a newsletter after reading the whole post. That’s why it’s important to provide a way for readers to sign up in the middle and/or the end of your blog posts. On my keto website, I use both a pop-up and a end-of-post subscription box. Surprisingly, it’s the box at the end of the post that has a higher conversion rate! Don’t have an email list yet? What are you waiting for?! 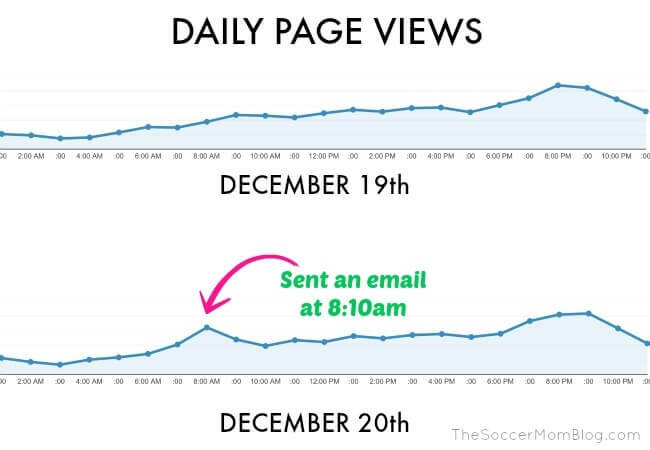 As you can see, an email newsletter results in more traffic – as soon as I send it! It’s such an important part of your blogging strategy, so don’t skip this! Believe it or not, I didn’t know to do this for almost a year! Then I had to go back and add links to all of my old posts, which as you can imagine, took a lot of time. However, once I started interlinking as a part of my new post routine, my search engine traffic AND my total page views increased drastically! Pinterest is a HUGE source of traffic for me — it sends me hundreds of thousands of page views every month! However, those visitors don’t just show up on their own — I have to earn their clicks with engaging Pinterest pin images. Your pins are competing with billions of other pins, so you’ve got to make them stand out from the crowd. Because I realized the potential of Pinterest early on, I spend a lot of time studying pins to figure out what worked and what didn’t. The result was a major boost in my traffic and multiple pins that went viral! 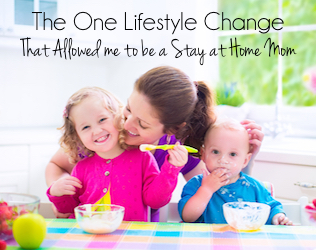 I even taught my system to my mom (also a professional blogger), and she tripled her traffic! I cannot stress enough how important it is to create effective Pinterest pin images for every single post. Not every single pin you create will go viral, but you have no chance if you don’t create pin images at all! 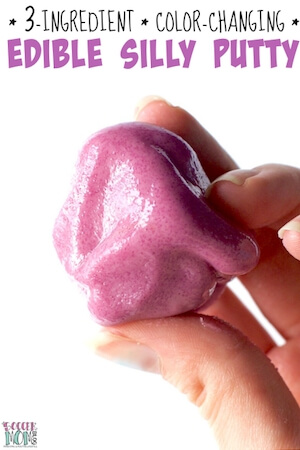 Click here to learn how to make your pins go viral on Pinterest! I’ll show you my system that’s worked time and again to get me lots of Pinterest traffic. Now that your readers have finished your post, what do you want them to do next? Without a call to action (CTA), your post ends abruptly and your readers just kind of leave. 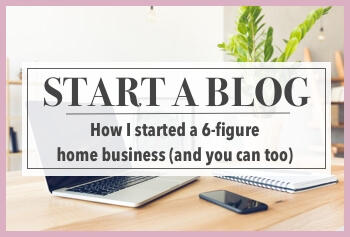 Click here to read more about what I wish I’d known before I started blogging! Ask your readers to do something – and some of them will! But no one will do anything if you don’t ask! After I’ve done all the technically stuff for my blog, I go back and read through it again thoroughly. At this point, my mind has had a chance to “forget” what I’ve written and I’ll often pick up grammatical errors or think of better ways to word some parts of the post. I save proofreading for last because sometimes when you’ve been staring at the same thing all day, you miss little mistakes. Don’t skip this step! Too many grammatical errors can be the difference between driving people away and creating a blog post that people want to read. Already done the first 9 steps? Hit publish and send your new post out into the world! As soon as I’ve published a new post, I immediately add a link to it in one of my older posts on a related topic. Remember how we interlinked to older posts earlier in this process? Now we’re doing the same thing for this new post to help it start gaining search engine juice right away! The next thing I do after I publish a new post is to share it on at least one of my social media channels at that instant. I always pin my new post’s pin image to Pinterest immediately after publishing. I want that pin image to get out there and start circulating right away because it can take time for new pins to gain traction. Over the next few days, I share the post on my other social media channels and I may even include in that week’s newsletter. If you follow the steps above, and after a few weeks your blog post still hasn’t gained much traction, you may want to go back through some of the steps again. For example, if I’m not getting the Pinterest traffic I hoped, I will create a new pin image for that post and share it. I may try working in some new, different keywords. I may even create a video for the post and see if that gets more attention. Some things, like recipes, perform very well on social media in video format. I do want to stress that your post may not pick up steam for a few days, weeks, or even months. Give it time! In the meantime, keep creating new content, building up your blog and social media following, and linking all those new posts together. Stay consistent, stay the course, and you WILL see your blog improve! 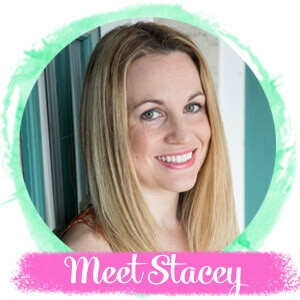 Check out some of my most popular blogging posts below, then sign up for my blogging newsletter for more delivered straight to your inbox!